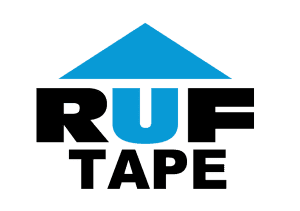 Our flashing tape, R.U.F. Tape™ , is built to compliment our underlayment and house wrap products. Designed with the same properties as R.U.F. Tacker™ , this flashing tape can withstand extreme heat, cold, and direct U.V. exposure for 6 months without deterioration in quality. The flashing also features a split liner for easy positioning and installation.